The Strikers struck early in the competition, taking down the highly fancied Stars team with what appeared to be a minimum of fuss. 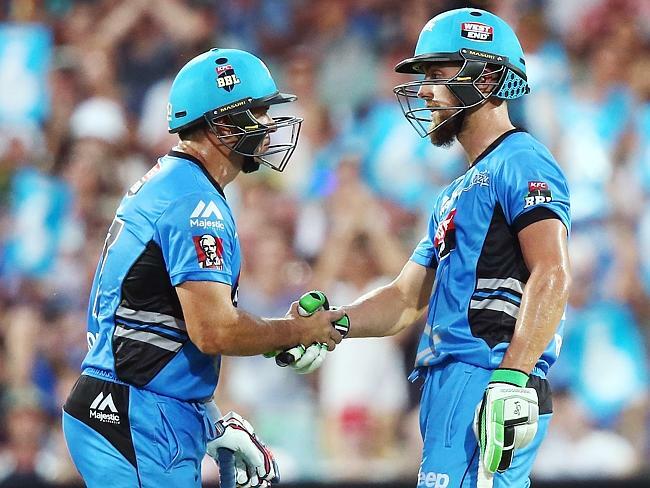 It wasn't all plain sailed being 4/66 off ten overs, but another old boy Brad Hodge fired away to score 56 off 41 balls, while the up-and-coming star of Australian cricket Alex Ross pounded and swept his way to 65 off just 31 deliveries, to be the mainstay of the Strikers eventual total of 5/187. The Stars innings was almost comical, as five catches were put down in the first half a dozen overs, four of them alone by keeper Tim Ludeman, and four of them also off the bowling of Kane Richardson, whose mood grew darker with each failing. 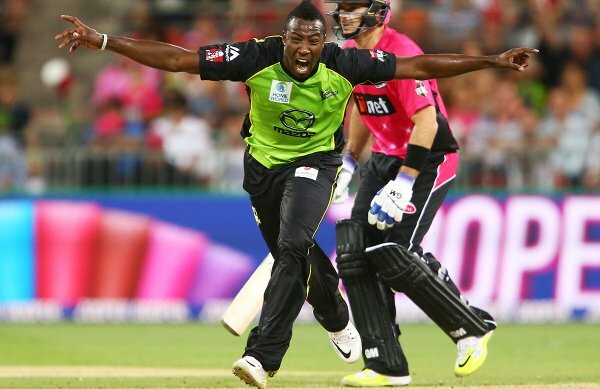 At 1/90 off 11 overs the Stars appeared to be cruising, but finally things started to turn for the Strikers. Ben Laughlin and Adil Rashid cleaned up the first four batsmen, helped by Luke Wright standing on his stumps, and Kevin Pietersen and Glen Maxwell playing equally ill-though-out shots in a pressure situation. Richardson returned to clean up the middle order, and finished with 3/22 off his four overs (which could have been anything). The Stars petered out to 7/168 and with some questions still to be answered of their superstar team. The Thunder's best chance of victory in this match was always going to be to bat first, and they were able to do this. Still, if not for Michael Hussey, the 40 year old veteran who still seems to be able to bat as well as he ever has, they would still be without a win in the Sydney Smash. His 80 not out off 59 balls propelled what looked like being a meager total to a much defendable one at 4/158. Michael Lumb showed off his classic English fielding skills, not only misfielding terribly a couple of balls, but dropping what is quite possibly the easiest catch of all time. Brad Haddin excelled with the first ball he faced in the Sixers innings, being caught plumb in front off Green, but immediately looking at the bottom of his bat as if he had gotten an edge on the ball. It fooled the umpired, who ruled not out, which makes this one of the most audacious efforts in cricket history since W.G. Grace put the bails back on the stumps after being bowled and exclaiming "the crowd came to see me bat, not you bowl". None of this helped as the Sixers were routed for just 122, giving the Thunder their first victory over their cross town rivals and a solid start in the new season. 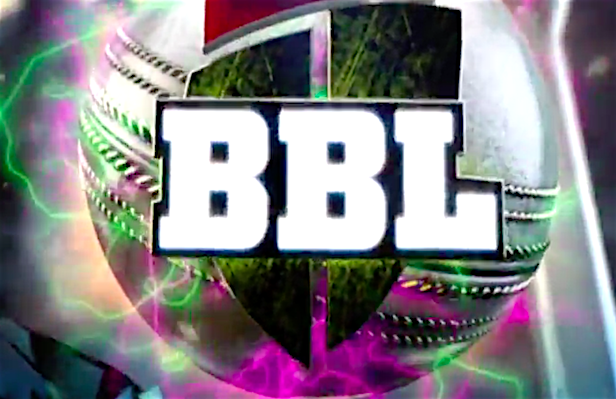 BBL05. Where Will They Finish? Another season of the Big Bash League begins, and as always there is no chance in hell of me being able to pick who is going to win, except to say that at least 80% of the games will be won by the team that bats first (lock that in). Apart from that, here are my tips for the current season. 1. SCORCHERS. They just have something that makes them a good T20 team. Packed home stadiums help. Can't really see anyone beating them unless they get injuries. 2. SIXERS. Still good enough to be one of the better teams. Three spinners in Lyon, O'Keefe and Botha should mean spinning tracks aplenty, especially with Starc now out of the equation. 3. HURRICANES. Have to like their squad, and Sangakkara and Sammy will be handy. If Dunk and bailey fire they could go all the way. 4. STARS. Eclectic mix with David Hussey and Hastings and Pietersen and Wright with the spin options of Zampa and Beer. Will probably win enough to make the top four again. 5. STRIKERS. Will be good again, but surely not as bright as last year. Losing the players they have lost won't be offset by Jayawardene's arrival. 6. THUNDER. Maybe they'll do better than this, but even with the roster they've put together, playing on a dud wicket at Homebush is going to be costly in the long run. 7. RENEGADES. Don't like their recruits, even with the "names" I just don't think they can cut it with the rest. 8. HEAT. Again relying on mostly 1st Grade talent to do the job in the big league. If they win more than 2 of their 8 games I'd be very very surprised. Can't wait to see how poorly this ends up in a few weeks time.